One thing carmakers seem to give little thought to is how their horns sound. No matter how hard you try, either tapping lightly on the horn or mashing down with the heel of your hand, there’s little to differentiate your meaning. Are you asking politely for the driver stopped in front of you to move forward, or are you trying to keep the idiot in the lane next to you from sideswiping your car at 70 mph. Leave it to rocket scientist Mark Rober to come up with a solution. 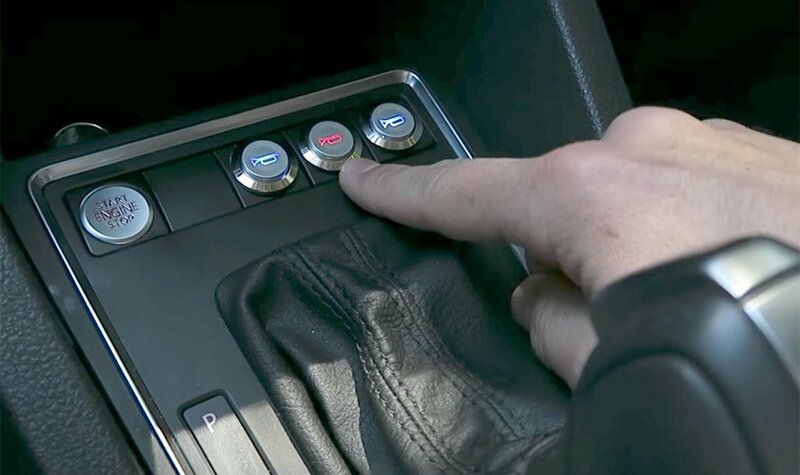 He recently tricked out his VW Jetta with a three-button horn setup, which allows him to customize the sound that’s played depending on the situation. There’s one button for gentle reminders, another for an even more good-natured acknowledgement, and a red one designed for those times when you really, really need to get someone’s attention. The mod actually doesn’t look too complex from the video, with the main components being an Adafruit audio board, some lighted horn buttons, a 12-volt amp and a PA horn speaker. If you’re even remotely handy, you should be able to create the same for your car, and load it up with whatever sounds you’d like. Seriously, this should be a standard feature on all cars – though I’d want the buttons on the steering wheel rather than in the center console.